Not just any mop will get your floors clean. In fact, if you’re not using the right mops and maintaining them properly, you’re actually adding dirt and bacteria to your business’ floors and spreading these germs around your facility. With a dust mop program from Golden West, you get mops that are long-lasting, that truly get your floors clean instead of simply masking dirt and grime, and you don’t have to worry about any of the mop maintenance! 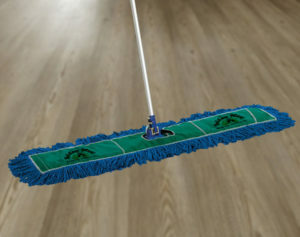 Our dust mops at Golden West are superior to your average dust mop. They are capable of picking up more dirt and are highly concentrated with antimicrobial fibers to prevent the spread of bacteria. We also carry four sizes of dust mop so that you can get what you really need to make your business floors clean. When you get your mops through our weekly service, we also provide you with free handles and frames so you don’t have to worry about the additional costs. When you get your dust mops through our weekly service, you get mops in the size that you need, that get the job done, and that come with complimentary supplies! Rent Your Dust Mops from Golden West! When you work with Golden West, not only do you get high-quality dust mops that do the job you need them to, but you also get a high-quality cleaning service that maintains your mops for you! No longer will you have to deal with the hassle of finding the right dust mop, having to frequently maintain it yourself, and then constantly having to replace it with what you hope will be a better mop. 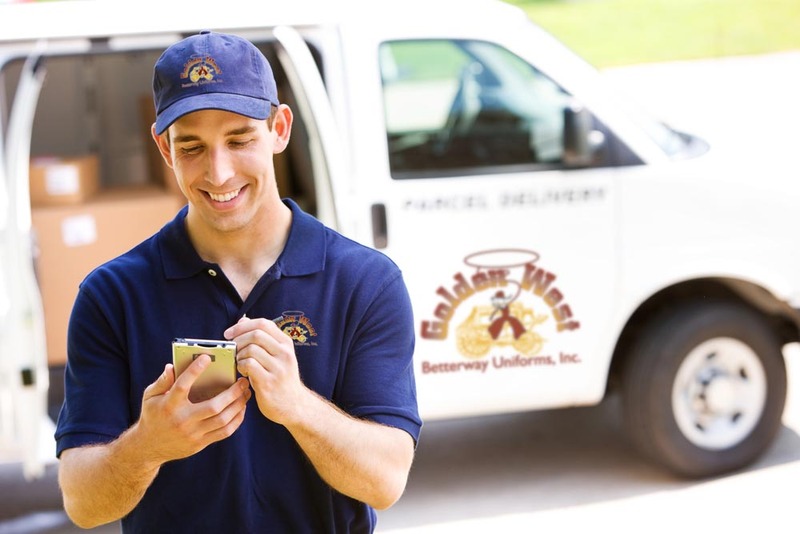 Once you work with Golden West, all you have to worry about is cleaning your floor with our easy-to-use dust mops and then having your dirty mop head ready for us to pick up. And if you need more than just a dust mop, we provide other services as well to help keep your floors clean, including wet mops and floor mats! To get started with cleaner floors, simply give us a call. Contact us today at 800-953-9292 to learn more about our dust mops and to get started on your weekly rental program!